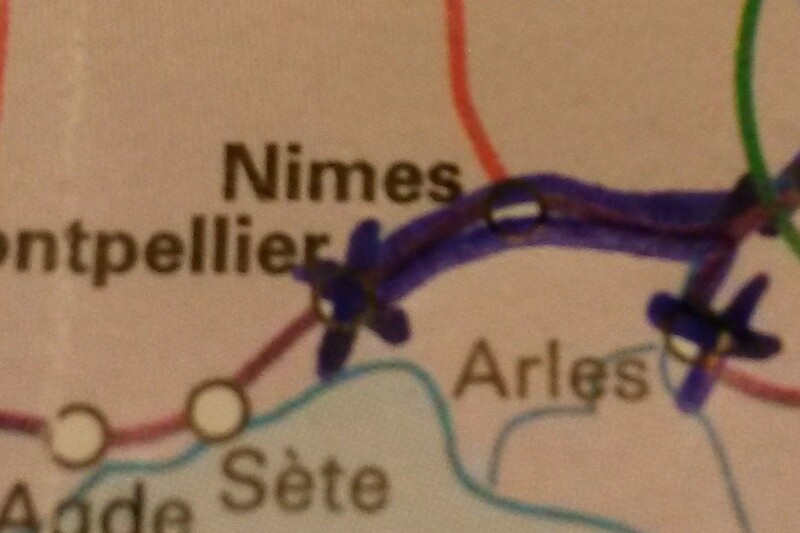 To leave Montpellier is sad, because we enjoyed it, but also because the one of Arles will be our last stop. 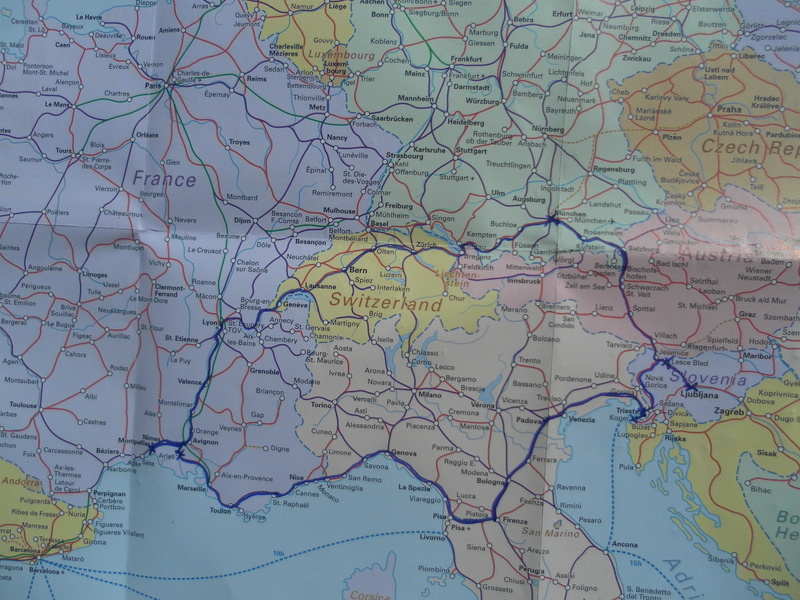 Once again, for eight days now, we fill our InterRail ticket and we reach the small city of western Provence. We will spend two nights in a room for rent, which in reality is a microscopic claustrophobic attic, which you enter through a manhole in the house ceiling. The bed is a mattress on the floor, the “kitchen” is composed by a microwave oven and sachets of soluble coffee at the foot of the bed, the bathroom is closed by a curtain behind the headboard of the bed and the only window is a 40x30cm peephole. The mistress of the house – that smells of incense worst than a Moroccan tea shop – forbids us to use shoes, which must be left at the entrance. 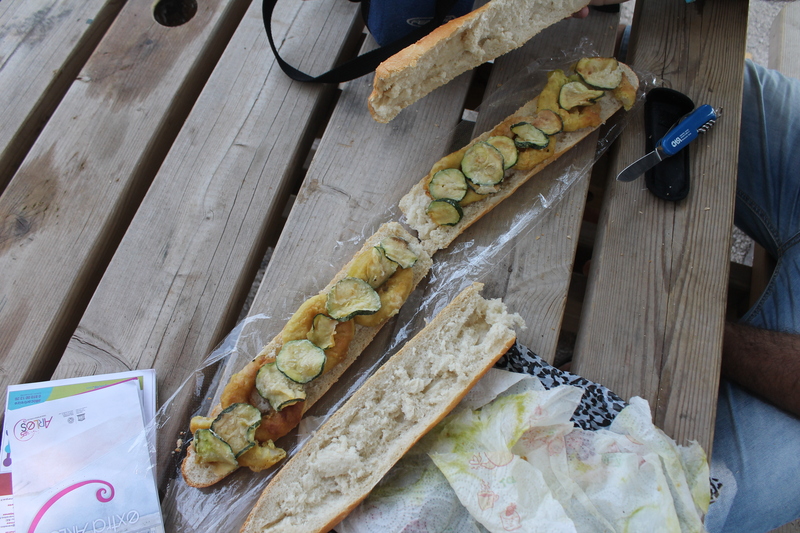 We enjoy our delicious lunch – baguette filled with the fried squid and zucchini leftover from the previous dinner – in a very strange park with ancient time games and bizarre monuments. Next to us A fianco a noi the French version of Mary Poppins pulls out from the coolbag every kind of supplies to feed the three children she has with her. 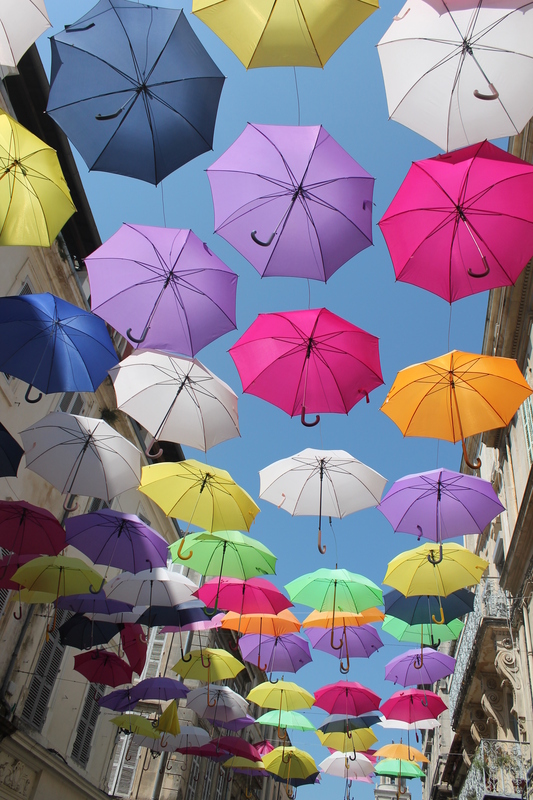 Arles is a town to walk slowly, to discover corner by corner. The rests of the ancient Roman Empire are the background of Provencal parfumes, while you can feel alive that wild air typical of Camargue: the Rhone delta (on the ends of which there is Arles) governed by bulls, horses and flamingos in the most uncontaminated nature. On the evening we have dinner with bull steak, typical dish of this place, which is really tasty and flavorful. Unfortunately the last day of our travel is also the only rainy one. 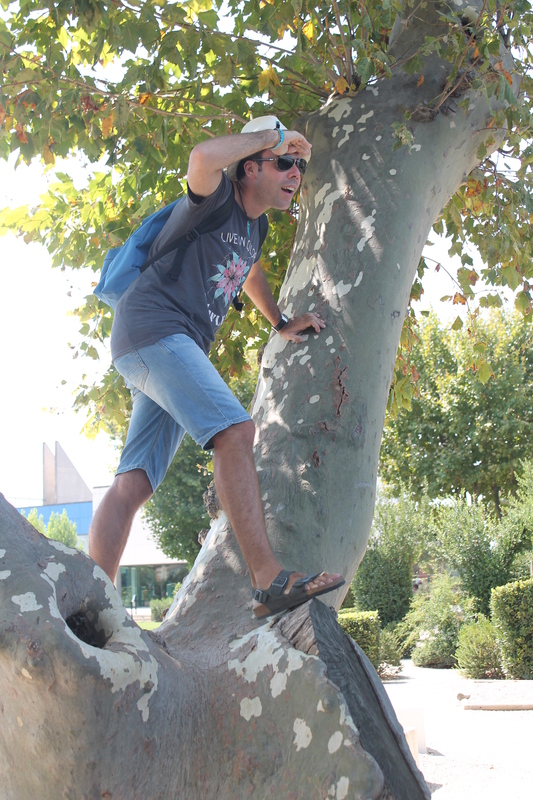 With a bus we reach Les Saintes Maries de la Mer, the small town on the coast, which is exactly in the middle of natural park of Camargue. 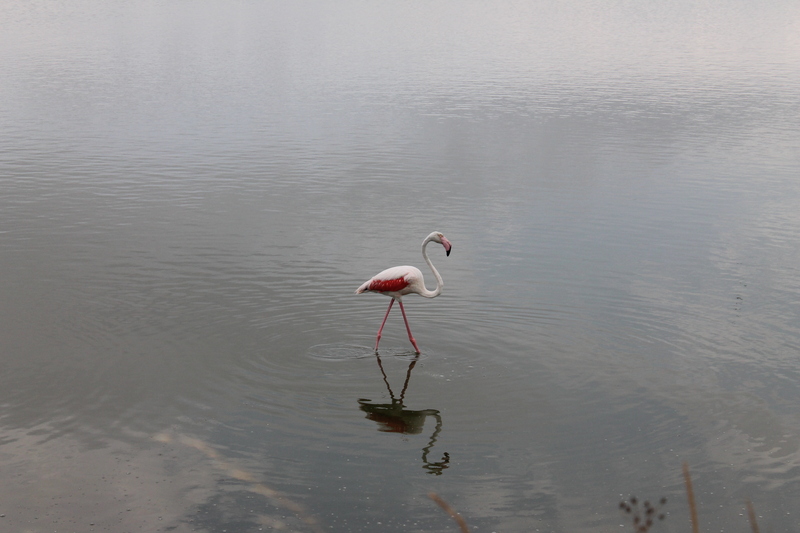 We rent a bike and we walk the paths that wind between the big ponds where hundreds of flamingos are moving slowly with the head under water. Because of the rain we have to stop our ride and we can’t see the big breedings of “corrida” fighting bulls, and not even the shoals of white wild horses which roam around these marshes. 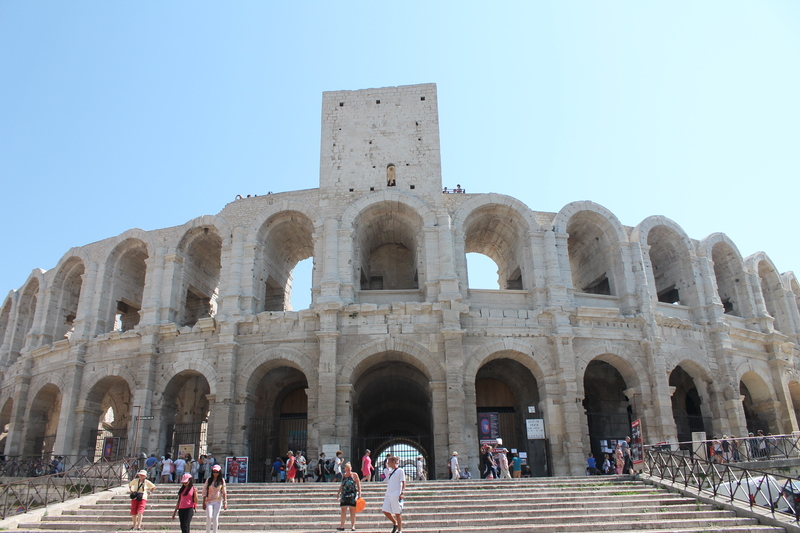 To come back to Arles is an adventure, on a bus driving definitely over the limit, under a storm which prevent to see some meters in front of you and the rain coming in from every slot of the shabby transport. 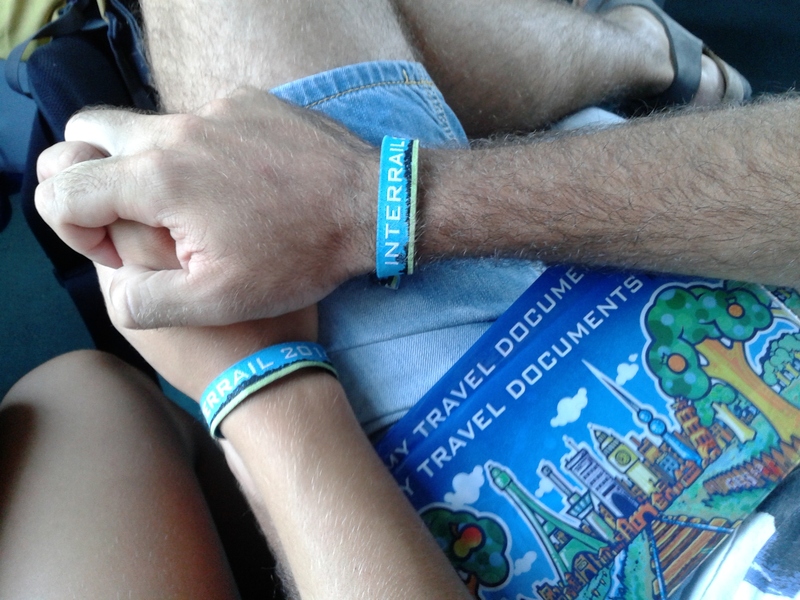 But the real adventure, the one of our travel, is ending. After few hours sleeping, at 6.04 am we are taking the first of the lot of trains which will take us, at the end, to our loved Florence. As it started, with a train this travel is going to end. It gave us the opportunity to know better each other, even during the less serene moments, teaching us to overcome difficulties hand in hand and to live every moment with the joy of staying together, unic “we” in the World. 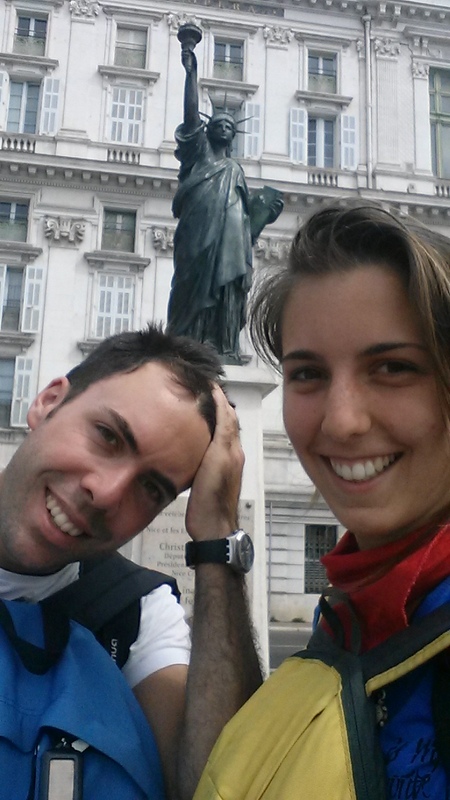 Questa voce è stata pubblicata il 5 ottobre 2015 da andreacuminatto in ARTICLES IN ENGLISH, Travels con tag adventure, Arles, attic, autobus, bike, bull, bulls, bus, Camargue, claustrophobic, corrida, Firenze, flamingos, Florence, France, Francese, Francia, French, horses, inter, InterRail, Italia, Italy, journey, Mary Poppins, Montpellier, natural, Nice, park, ponds, Provence, Provenza, rail, railway, Saintes Maries de la Mer, train, travel.